Orbital-period decay in hot-Jupiter WASP-12b? Closely orbiting hot-Jupiter exoplanets are likely to be spiralling inwards towards their host star as a result of tidal interactions with the star. A new paper by Maciejewski et al reports a possible detection of this orbital-period decay in WASP-12b. 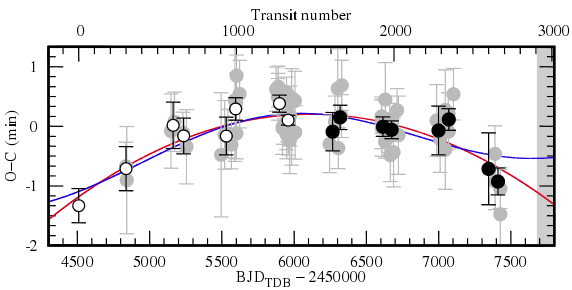 The authors have acquired 31 new transit light-curves over four years, and detect a trend under which the latest transits occur about a minute early compared to an unchanging ephemeris. Transits of WASP-12b. O–C is the observed time compared to that calculated from an unchanging orbital period. The time (x-axis) is given in both a count of days (BJD) and a count of transits. This is the most convincing claim yet of a changing orbital period in a hot Jupiter. Whether it shows the spiral infall, though, is less clear. As the authors explain, other tidal interactions between the star and the planet, such as that causing apsidal precession, could account for the effect. Further, in close binary stars there are known to be similar period changes on decade-long timescales that are not fully understood, but which might be caused by Solar-like magnetic cycles on the star. 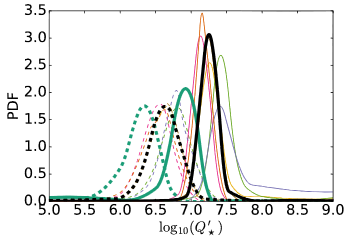 One suggestion that this is not spiral infall comes from the deduced value of the tidal quality factor, Q, which the authors calculate as 2.5 x 105. This is lower than other estimates of Q as nearer 107. The way to settle the issue will be to accumulate more data over a longer timespan until the case for spiral infall becomes overwhelming. It will thus be important to continue monitoring WASP-12b, and the other short-period hot Jupiters, over the coming decades. This entry was posted in Hot Jupiters, WASP planets and tagged tidal decay, transit timing, WASP-12b on March 1, 2016 by waspplanets. 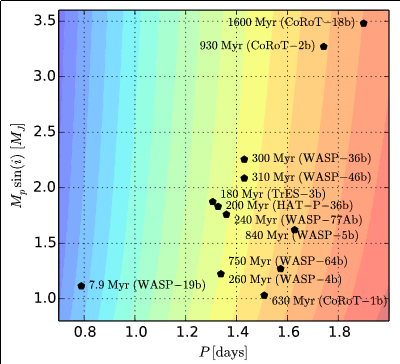 Possible orbital period decay in WASP-43b? Since hot-Jupiter planets have close-in orbits they will raise a tidal bulge on their host star. Since the planet’s orbit is faster than the star’s rotation, that bulge will tend to lag behind the planet. Its gravity will thus pull back the planet slightly, draining angular momentum from the planet’s orbit. Hot Jupiters, especially the shortest-period ones, are thus expected to be gradually spiralling inwards, and many will eventually spiral into their star. An important issue is how fast this happens. We can obtain theoretical estimates, but it would be good to have a direct measurement of the decay. 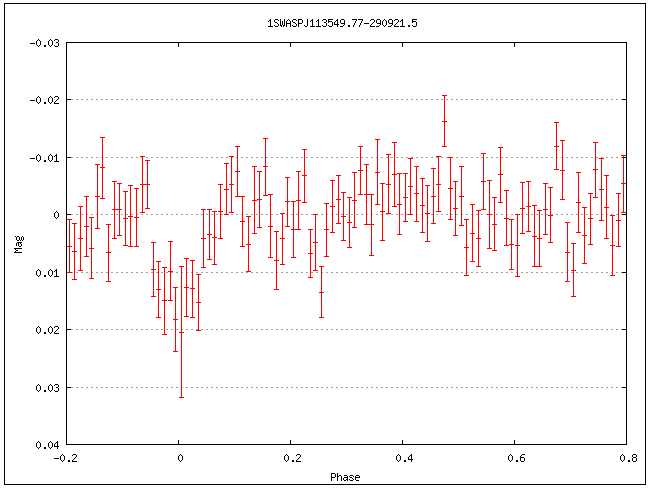 Thus the transits of the shortest-period hot Jupiters are being monitored to see whether their orbital period is decreasing. The x-axis is time, in a count of transits, while the y-axis is the “observed minus calculated” time of transits, being the observed deviation of a transit timing from the expected time. The data points are the transit timings by Jiang et al and from previous papers. A constant orbital period would correspond to the dotted line. A very fast period change (as has been previously suggested) would correspond to the dashed curve, and Jiang et al now rule that out. Their best fit is the solid curved line, which has a slower rate of change, but still seems to suggest a changing orbital period. 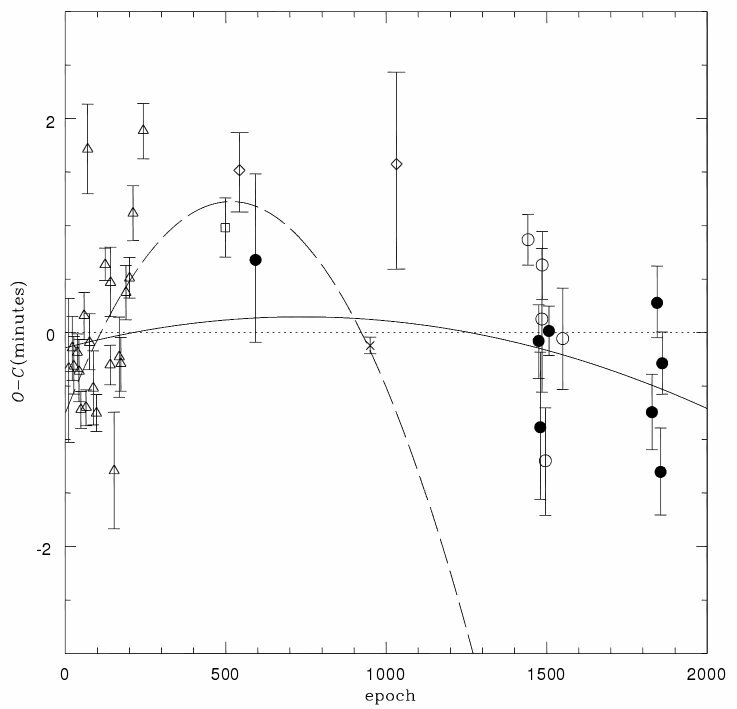 This is interesting work, and if it really does reveal a period change in WASP-43b then it is highly important. My feeling is to be cautious for now. 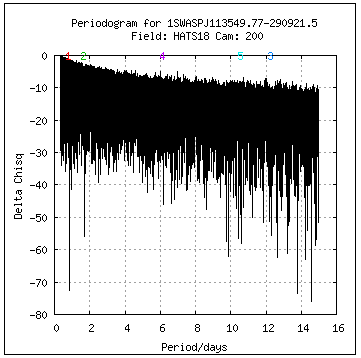 It is clear from the plot that there is scatter in the transit timings that is larger than the error bars, and we don’t really know what short-term or medium-term “noise” there might be in exoplanet transit timings, since we’re only beginning to study them. The period change suggested by Jiang et al corresponds to a tidal decay rate specified by the number Q = 105 (where “Q” is the tidal “quality factor” that depends on how much energy is dissipated in the tidal bulge on the star during each orbit). However, it is generally considered that the Q values are more likely to be 107 for hot Jupiters (see here), which would produce a much slower orbital decay. Thus, the period change in the above figure could be a short-timescale fluctuation (for ill-understood reasons) rather than the true long-term orbital-period decay. The fact that, by adding more timings, Jiang et al have reduced the previous estimate for the period change by an order of magnitude suggests that the same might happen given future timings. Still, this is important work, and it will be interesting to see how it progresses. This entry was posted in Hot Jupiters, WASP planets and tagged tidal decay, WASP-43b on November 4, 2015 by waspplanets.